Met with the doc today and she is very happy with my progress. She’s excited to see my next CA-125 results in two weeks and thinks we may get down to normal range. Great news! 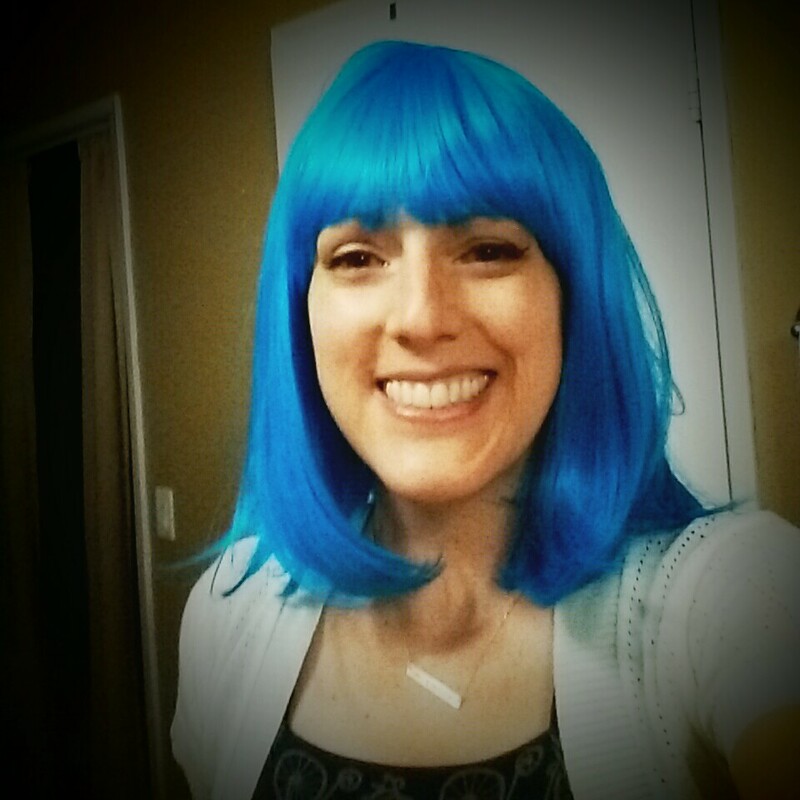 And I surprised her with the blue wig today. She liked it a lot! Previous PostWig Pic: St. Patty’s Day EditionNext PostWow. Lovin’ the blue one! However, that smile would make a Mohawk look fabulous! You look beautiful! And love the necklace. You can’t wait to see you. Gah!!! The blue brings out your smile. I love it, and you! That is great news and loving the blue wig!!! You look beautiful as always!!! Doing my happy dance! Can’t wait to join you with my purple special. Love you tons! I love the blue on you!! You are beautiful!!! That blue wig is yours. Like 100% it was meant to be with you. I’m not taking that one back when the others return someday – I have NEVER pulled off that wig and somehow you make it look fabulous. Blue looks good on yah! Hurray for good news!